After the eagerly anticipated return of our live entertainment nights, our “All Kinds of Fabulous”cabaret evening was a smash hit with a full house last month. We truly enjoyed a night of “eat, drink and be merry”! 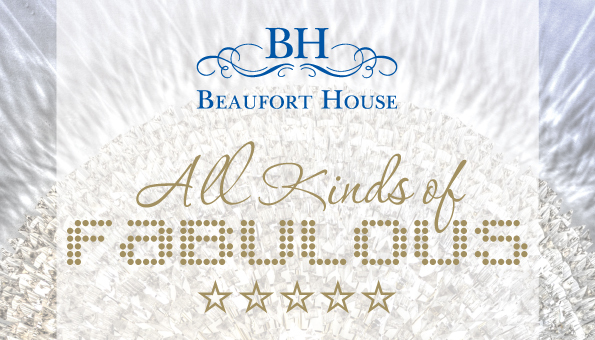 So we are thrilled to announce the next “All Kinds of Fabulous”, in collaboration with Emma Bartholomew PR, will be happening on Thursday 1st May 2014. May’s offering will be every bit as vibrant as the last and is hotly tipped to be even more of an entertainment box of delights, so be prepared! We will begin proceedings with the radiant Sharon Rose, returning to the House for her second performance with us, after receiving a very warm reception the first time round. Sharon is a singer/songwriter with a strong grounding in British pop, classic R’n’B, indie, and southern African music. On stage, Rose and her formidable band ‘The Thorns’ give so much energy it tends to stick long in the memory while her own ‘energy electrifies the audience’ (ParrisOh- Music Blogger SB.TV). Compliments for Sharon’s voice come from some industry names who really know their stuff – Gary Barlow commented on her “flawless vocals” and Leona Lewis said her voice was “stunning” with “every note perfect”. Beyond the unquestionable passion is a voice that is refined, timeless and sensitive. Making his debut at the House will be sax phenomenon Chris Sharp, dubbed quite simply as, Europe’s most entertaining saxophonist”. Having played all over Europe, including playing his famous sax whilst skiing down the slopes of some of Europe’s most exclusive ski resorts, we are very lucky to be welcoming Chris to play at All Kinds of Fabulous! We also welcome back the ever electric Johnny Lucas. Johnny writes and performs fresh, anthemic songs which keep you singing through the dark times as well as the bright. With influences ranging from 60s McCartney to 90s Northern Brit Pop, Johnny’s relatable, feel-good music will always leave you in a sunnier mood. Using multiple loop pedals and several different guitars, he entertains audiences completely solo while sounding like a full band. By including the audience in his performances he befriends the crowds he plays to and sets the place alight. 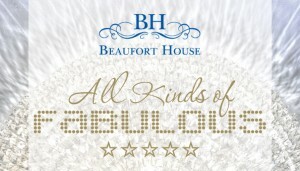 To book contact the Events team on 020 7352 2828 or you can email Merlin at merlin@beauforthousechelsea.com.